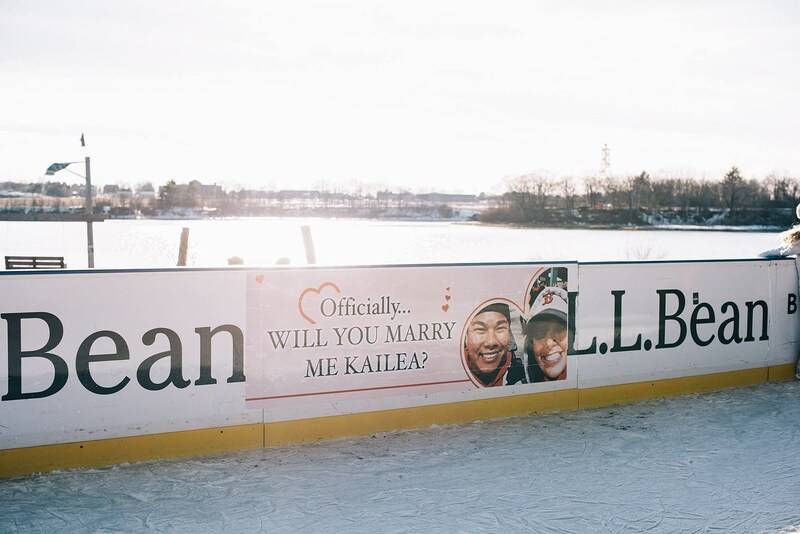 Listen to AJ & Nikki's interview with Ben Boonseng, who proposed to his girlfriend at the ice skating rink at Thompson's Point in Portland, Maine. Ben told us he choose the skating rink because it is one of his now-fiancee Kailea Shapiro's favorite places. He also confided that he is a mediocre skater, so his plan could have turned into chaos on the ice if he or Kailea had fallen when Ben got down on one knee OR if she had rejected him. Luckily, neither of those things happened. Everything went smoothly, and Kailea said "yes." Congratulations Ben and Kailea from all of us here at 94.9 HOM!